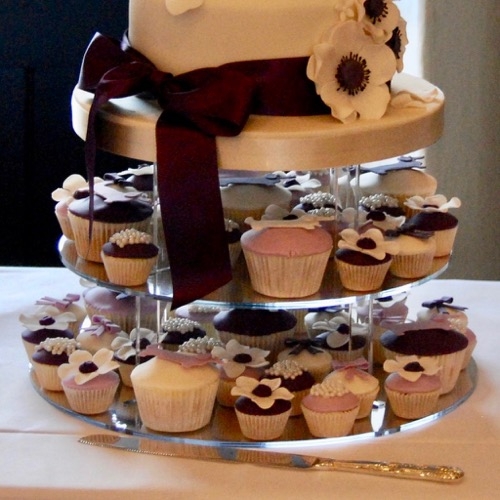 4” 6” & 8” round tiers. 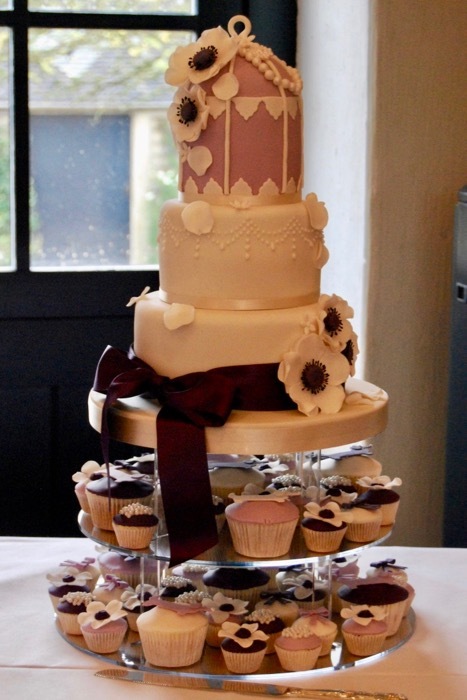 Handmade sugar flowers and birdcage details. 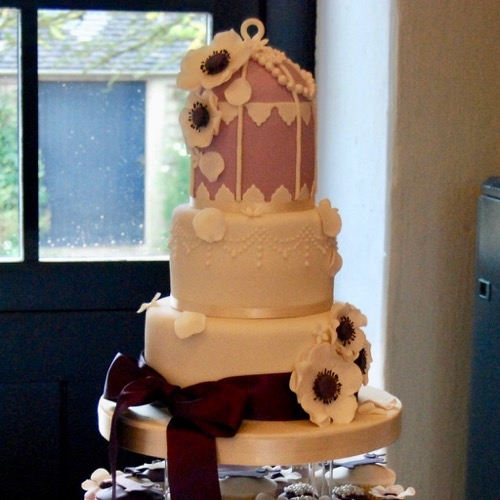 Royal icing piped detailing. Regular cupcakes with handmade sugar flowers.